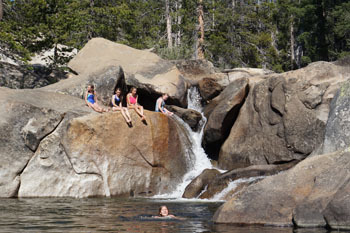 Camp Tamarack’s rustic location, 7000 feet up in the California Sierras, 80 miles east of Fresno, provides a beautiful wilderness setting for the camp. 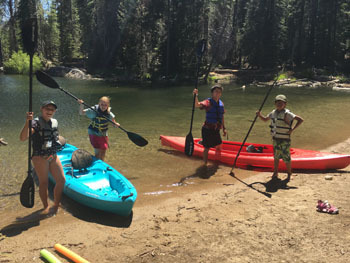 Shaver and Huntington Lakes are respectively 15 and 6 miles from Tamarack, affording water recreation, while streams and hiking trails are readily accessible around the campsite. 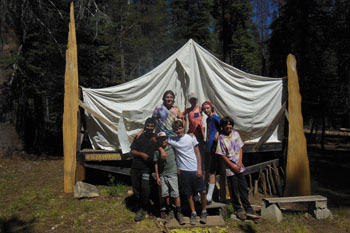 Campers reside in platform tents near centrally located rest rooms with hot showers. A small lodge with a fireplace and adjoining kitchen provides the additional facilities for our community events and activities. Because of the altitude, there is no poison oak. Warm days and very chilly nights are common. Camp begins at 5:00 p.m. Campers should arrive between 3:00 and 4:30 in the afternoon; please, no early or late arrivals. The first meal will be dinner. 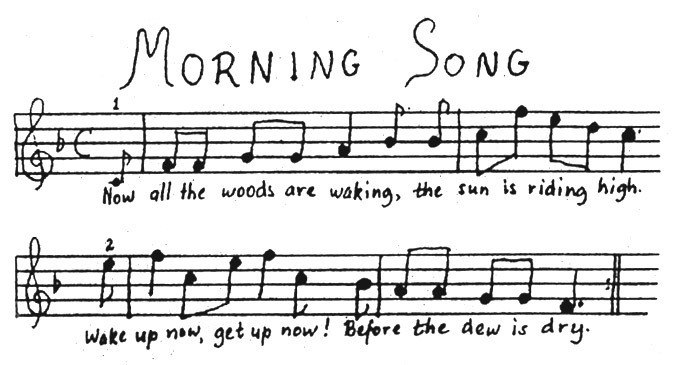 The Camp will close at 10:00 a.m. and the last meal will be breakfast. Campers must be picked up by 11:00 a.m. There is a phone on site for emergency messages (559) 893-3403. Camp Tamarack provides a media and screen free environment which enhances our nature experience and connection to forming life-long friendships. All costs and travel arrangements to and from Camp are your responsibility. We can however assist you with arranging a carpool. 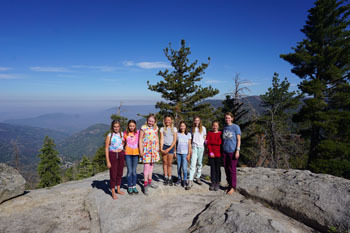 Overnight accommodations are available one mile from camp at Tamarack Lodge (559-893-3244), or at nearby Huntington Lake, Shaver Lake or China Peak Mountain Resort (559-233-2500). 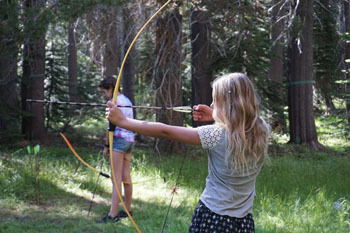 This year’s fee is $1,280.00 per camper, which includes all activities. Please apply early. Applications will be accepted on a first come, first served basis. Tuition reduction is very limited and must be applied for in writing. Please fill out a separate Registration Form and $150.00 non-refundable deposit, payable by credit or debit card for each camper. You can Sign-Up and Make Payments online. Our staff is largely volunteers and, being nonprofit, we try to keep our expenses as low as possible for the children we wish to serve. All scholarship money goes directly to those in need of aid. Tax-deductible donations can be made by going to the Make Payment tab on our website. Thank you! Take Hwy 99 toward Fresno. From L.A., leave Hwy 99 at Herndon and go east toward Clovis. When you get to Hwy 168, go east to Shaver Lake. From S.F. and Sacramento go south on Hwy 99, take Hwy 145 east, cross Hwy 141, go right at stop sign, make a left at stop sign toward Friant, then go left on Auberry Rd to Prather. When you get to Hwy 168, go east to Shaver Lake. 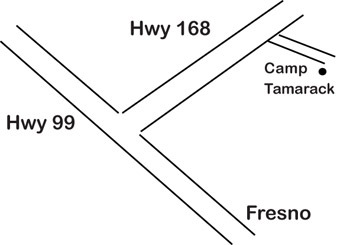 From Ken's Market, continue on Hwy 168 for 13.5 miles to a forest service road with a sign to Red Lake & Coyote Lake, which you will see on your right after crossing Tamarack Creek (if you pass the road to Tamarack Lodge, you have gone too far). The camp is approximately one mile up this forest service road. 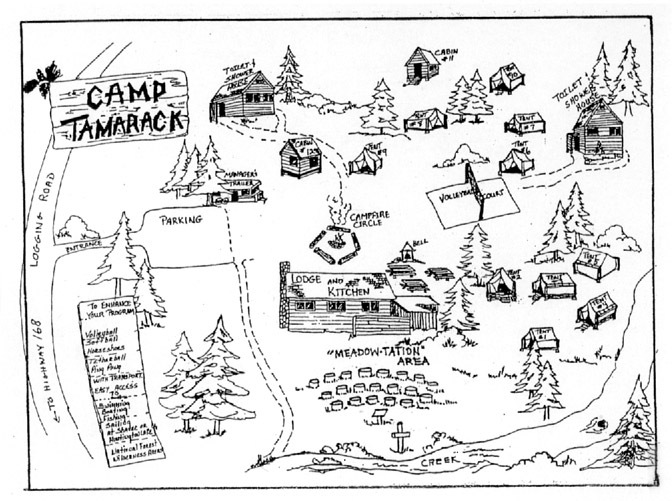 There will be a sign on your right marked Camp Tamarack. 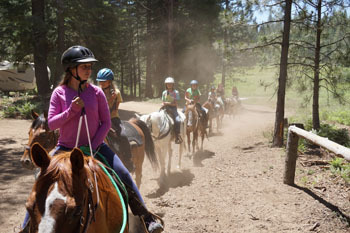 Travel time to Camp Tamarack is approximately five (5) hours from Los Angeles, Sacramento and San Francisco.